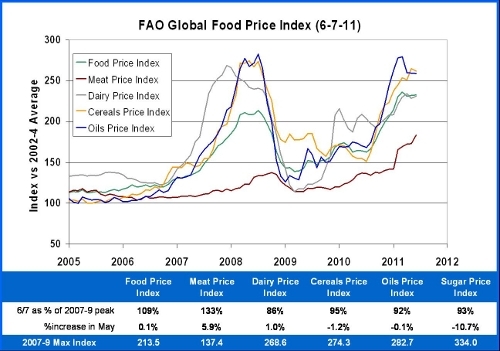 Today, the UN Food and Agriculture Organization (FAO) released it’s food price indices for May 2011. It was a mixture of somewhat encouraging news and not so encouraging news. There are indications that we may have reached the peak of the spike at levels comparable to the last spike in 2008, but there is no sign of relief for those nations which are heavily dependent on international trade for their food purchases. Cereal prices are slightly down, but that is mainly driven by solid rice supplies and far better Russian and Ukrainian wheat harvests. It is doubtful that the supplies of corn and spring wheat will recover this year because of rain-driven delays in planting in most of North America while Winter Wheat harvests in the US are being severely hurt by drought. The milling and baking industry is very nervous about hard red spring wheat prices this fall. Meat and dairy prices continued to rise with the meat index now 37.4% higher than ever before. Together these increases and decreases produce an overall food index value that is only 0.1% higher than April but still 9% higher than the last peak. Sugar prices (not shown) are on a very different cycle and are more than 10% down last month. Unless the 2011 growing season in North America turns out far better than expected, there is every reason to believe that this price spike will continue or worsen. The next update will appear on 7/7/11. You can email me for a higher resolution copy of this graph at savage.sd@gmail.com. 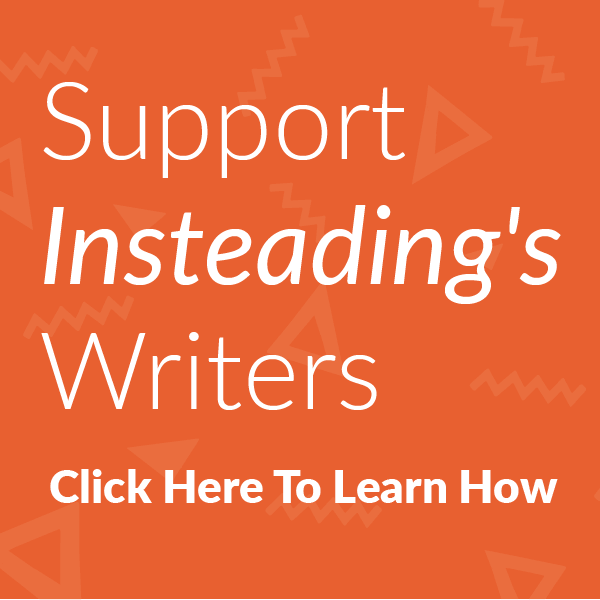 My website is Applied Mythology.